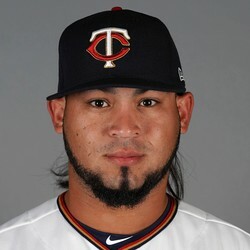 Gabriel Moya was the Twins' "opener" for Sunday's series finale against the Rangers. He did a poor job, allowing a two-run bomb off the bat of Elvis Andrus. He allowed the homer, a walk, and struck out one. The Twins were absolutely pathetic in this one, losing 18-4, which dropped Moya's record to 1-2. The new "opener" strategy means that players completely irrelevant for fantasy purposes make starts. The good news is that he is owned by 0% of Yahoo players, so his outing did not negatively impact the fantasy community. His 0% ownership should stay there, given his 5.20 ERA.